Spring is in the air and preparation of boats is taking place for the up coming season. We have a very exciting season to look forward to with plenty going on. I would like to draw your attention to two of the many events taking place. Our own WIORA West Coast Championships which is been hosted by Clun Seoltoireacht Arann from the 05th – 08th July. NOR is available here and there is plenty of accommodation left on the Island but you are advised to please book ASAP. Your early entry also assists with the planning of the event and the forms are here. Secondly, The ICRA (Irish Cruiser Racing Association) Cruiser Nationals will be hosted by Galway Bay Sailing Club in 2018. 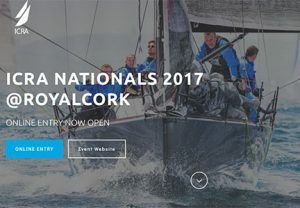 WIORA need to support this year’s ICRA Cruiser Nationals been hosted by Royal Cork Yacht Club 09th – 11th June 2017. Online entry is available here and the official event webpage is here. If your boat has not yet entered the ICRA Nationals you are still in time to avail of the discounted entry. Under the experienced hand of Royal Cork Yacht Club we are taking a lot of care in preparing a great event. Free marina berthage for duration of event and free berthage between the Royal Cork Yacht Club and Kinsale Yacht Club up to Sovereign’s Week. At present we have two WIORA boats entered, we really do need to support this event.